Dr Walter Tennyson Swingle (1871 — 1952) was an agricultural botanist who worked for the United States Department of Agriculture Citrus Breeding Programme. He was involved in the development of citrus fruits such as the Murcott Orange, the Orlando Tangelo, Tangelos and Kumquats. He spoke Chinese, and developed a large personal library on Chinese agriculture, as well as procuring over 100,000 books on Chinese botany for the Library of Congress. His papers are housed in the Walter Tennyson Swingle Collection at the University of Miami. Swingle was born 8 January 1871 in Canaan Township, Wayne County, Pennsylvania. He was the first child of John Fletcher Swingle (1848 to 1935) and Mary Astley Swingle. They then had a girl, named Miriam. In 1873, the family moved to Manhattan, Kansas. Swingle was at first schooled at home. He got a copy of Gray’s Manual of Botany to teach himself plant names. In 1885, he began studying at Kansas State Agricultural College in Topkea, Kansas. In 1887, at the age of 16, he wrote a paper on rust on cereal crops. 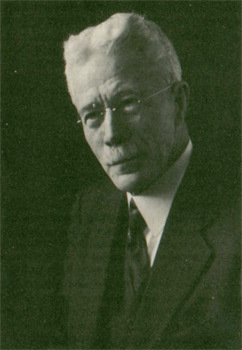 In 1890, he graduated with a Bachelor of Science degree Kansas State Agricultural College, with much of his work done under a Professor William A. Kellerman. He then worked as an assistant botanist at the Experiment Station attached to the College until April 1891. By this point, he had published 21 joint papers with Professor Kellerman, and 6 papers on his own. At the end of April 1891, Swingle joined the United States Department of Agriculture (USDA), in their new Vegetable Pathology division. He was offered by job by a Dr Beverly T. Galloway, who had been appointed chief of the new section; Swingle was given a starting salary of $1,400.00. In July of the same year, he was sent to Eustis, Florida to examine orange trees, and he set up a lab there called the Sub-Tropical Laboratory  in an orange grove belonging to a Mrs Platt. At the end of the year, his father, by then a widower, remarried to a Florence Stella Leonhardt on 6 December 1891. 1898 — Swingle went on leave in July. He spent the next year at the University of Leipzig. While in Europe, he met his future wife, Lucie A. Romstaedt, who was his French tutor. 1915 — On the 2nd of October, he married Maude Kellerman. They would have 4 children. 1952 — on the 19th of January, he died at home in Washington, D.C.
Swingle introduced into California a wasp (called “Blastophaga”) from Algeria necessary for the pollination of Smyrna figs. In 1909, he investigated a fig tree on land near Modesto, California owned by a Samuel Gates. He found the tree to be swarming with blastophaga wasps, and advised Gates that the wasps were actually a blessing. As a result of Swingle’s advice, Gates was able to make a good deal of money selling the insects and fig orchards sprang up in the county. In 1900, Swingle travelled to Algeria and brought back 405 samples of Deglet Noor and Rhars cultivars of date palms. He introduced them into Tempe, Arizona (sadly, they were mishandled and died.) In 1907, he helped to establish the United States Date Garden at Indio, California, with the purpose of it becoming the American centre of date research. Swingle, Walter T.. The Grain Smuts: How they are caused and how to prevent them. Washington: 1898. USDA Farmer Bulletin 75. Washington 1898. 20 pages with 8 illustrations. Swingle, WT. “The botany of citrus and its wild relatives of the orange subfamily.” Pp. 129-474 in: HJ Webber and LD Batchelor, eds. The Citrus Industry. Vol i. History, Botany, and Breeding. Univ of California Press, Berkeley, 1943. The Eustis Lab later moved in 1931 to downtown Orlando, in 1952 moved to north of Orlando near Leesburg, and in 2000 moved to Fort Pierce, Florida. Bartlett, Harley Harris. “Walter Tennyson Swingle: botanist and exponent of Chinese civilization.” Asa Gray Bulletin. N.S. Vol. I, No. 2. pp 108 to 128.